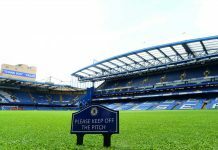 Home CFCnet North Stand Chelsea signings on their way? Chelsea signings on their way? Chelsea have made a great statement to the footballing world by convincing Eden Hazard to pledge his allegiance to the club for another two years. Real Madrid wanted him to replace Gareth Bale, and every big club in the world would love to sign him. But Hazard has every reason to think he can realise all his ambitions at Stamford Bridge. He has just won a second title in three years, and the Blues will now get another crack at the Champions League. 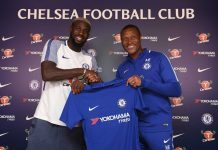 It is not long ago that Chelsea were lifting the famous trophy, and there is nothing to say they cannot usurp the likes of Real Madrid at the summit of European football by keeping Hazard and supplementing an already strong squad with quality players. New signings are certain. Last time Chelsea competed in the Champions League they finished mid-table in the league and were stretched too thin. You would expect to see star players and squad players join the revolution this summer. But an even bigger coup could be keeping hold of Antonio Conte, who is attracting serious attention from newly rich Inter Milan. 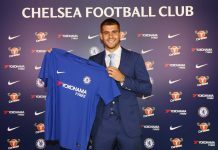 Signs are positive though and Conte is expected to follow Hazard in committing to the club for next season. Hazard has every reason to feel grateful to the Italian coach. Conte changed Chelsea’s formation to three at the back and wing-backs, and that freed up Hazard. He hated his defensive responsibilities under Jose Mourinho and it did seem a waste of energy for someone so devastating in attack. Marcus Alonso, Cesar Azpilicueta and N’Golo Kante too care of all that defensive responsibility and allowed Hazard to simply wreak havoc on opposition defences. 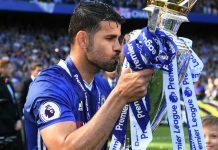 He finished the season with 22 goals and nine assists, and it is no surprise to see Europe’s biggest clubs showing an interest. But Chelsea are an elite club in their own right and never need to sell to anyone thanks to Roman Abramovich’s deep pockets. Now is the time to strengthen, and the Blues are being linked with a host of top players, which should cause a great deal of excitement among fans. They clearly need more firepower, as Diego Costa led the line by himself all season. He may also leave for China in the summer. But Chelsea are being linked with some of Europe’s hottest strikers, from Romelu Lukaku to Dries Mertens. They have a strong spine in Thibaut Courtois, David Luiz, Azpilicueta, Gary Cahill, Kante and Hazard, and need perhaps another winger, two strikers and a midfielder, and possibly a defender, as well as a backup goalkeeper. It will cost £200 million, but that is what Abramovich has seemingly promised. 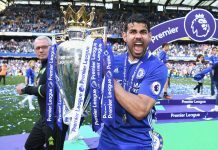 No team has won back to back titles in the Premiership apart from Man Utd, and that is another challenge for the Blues next season. They have been made third favourites for the 2017-18 campaign by the bookies, behind Man City and Man Utd, despite finishing well ahead of both this season. The Blues are far stronger and if they match their ambition in the summer transfer market, they should win the league at a canter again. A sportsbook like Betdsi will have odds for them and it looks worth backing Chelsea in the futures markets. You can quadruple your money by backing Chelsea to win the league. The only club to get near them this season was Tottenham, and they will be hampered by a stadium move. City and Utd will kick on, but it is unlikely to be enough to close the gap, while Liverpool and Arsenal are well off the pace.